If you want to give your Dad (the guy who made your very existence possible) a half-assed gift, go right ahead. Buy him a tie. But, if on the other hand, you want to step up your game and buy Dad a world-class whiskey to represent the world-class dude he truly is, let me recommend two bottles that are going to knock his socks off (remember, the ones you gave him for Father’s Day last year?). First up, Red Breast 21. I’ve had a lot of great things to say about Red Breast in the past few years (i.e. my review of Red Breast 12 Cask Strength). But their newest offering, the 21 year single pot still Irish whiskey which was released earlier this year, is a true masterpiece of whiskey making. Whisky Advocate named it the 2013 Irish Whiskey of the Year with a score of 96, saying “This is Roger Waters doing The Wall: unsubtle, over the top, and completely entertaining.” I couldn’t agree more. On the nose, you get that classic Red Breast perfume — a fruity elegance with banana, vanilla and wood spice — elevated to the next level with a nutty richness, deeper sherry tones, and a more laser-focused spice. On the palate, the whiskey rises like a mighty sword, building with oily spice, vanilla and juicy fruit notes, mellowed with a silky sherry, and finishing with a spicy bellow that goes on and on, bringing back a tropical wallop of banana, dried apricot and coconut. 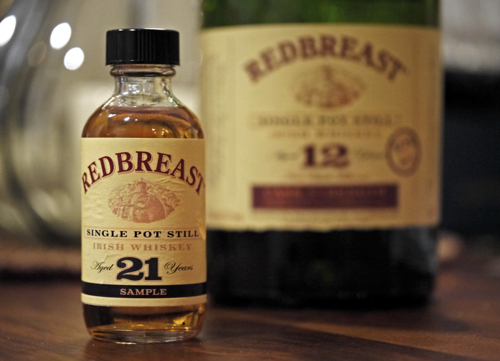 Red Breast 21 is a delicious, well-aged and completely unique whiskey that will warm an Irish whiskey-loving dad all night long. Of course, a bottle will run you about $250; but what’s two and a half Benjamin’s in the scheme of all that dad’s done for you? 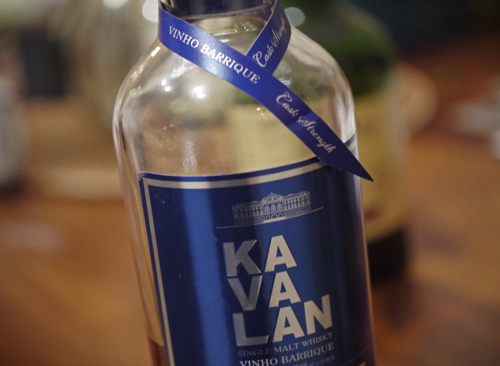 Next up, Kavalan Soloist Vinho Barrique. I imagine the King Car Distillery in Taiwan, makers of Kavalan, to be like the Charlie’s Chocolate Factory of distilled spirit, in which magical little elves turn water and grain into brilliant whisky in magically short periods of time. The Soloist Vinho Barrique Cask Strength (aged in American oak wine barrels) is one of these brilliant whiskies, and is part of the Soloist lineup that hit the US market this year (they’ve been in the global market for a few years). The Bourbon Cask release, of the same Soloist line, just received Whisky Advocate’s 2013 World Whisky of the Year. But, back to the magical elves; you’d really never guess from the look or taste of it that this whisky has been aged for only 4 years. Its deep, dark, rich complexion doesn’t let off youth in the least. The nose has a layered and intricate aroma, packed full of dark, earthy chocolate, burnt vanilla and cinnamon, black berries, honeysuckle and charred wood. The palate is rich and spicy, with complex spice notes, dark fruit, salted caramel and a little anise… wow! For a Single Malt loving dad, this whisky will be a stand out winner. And frankly, whether you choose the Soloist Vinho, Bourbon or Sherry cask version, I think he’ll be mightily pleased with your choice regardless. They each run about $150 retail. So, here’s to dad, eh? May his Father’s Day be filled with more Taiwanese whiskey and less ties, or more Red Breast and less red socks. Cheers! Next ArticlePack up the VW, Sierra Nevada’s Epic Beer Camp Across America is Almost Here!